Is Single-Payer Health Insurance a Good Deal? What Is Single-Payer Health Insurance? Single-Payer health insurance is a model that seeks to provide health care coverage so that all people have access to essential care throughout their lives, regardless of their ability to pay. Although the Affordable Care Act made it possible for millions of Americans to become insured, it is not single-payer health care. Even after the ACA, which helped many previously uninsured Americans get health insurance, there are still millions of more Americans who remain uninsured so many people ask the question, what is single-payer health insurance and is it a good deal? Single payer health insurance is a health insurance system financed by taxes that is managed and run by one entity, such as a government, providing essential health care to all citizens. It is referred to as single payer because it is the one entity (the government) that pays the costs (a "single payer"). How Does Single-Payer Health Insurance Work? A single-payer health insurance system is financed by taxes so that individuals and citizens of the country do not pay extra costs when seeking out essential care. Each country might manage this system differently as evidenced by the different examples seen in countries who already have single payer health systems. The United States does not currently have a single-payer health system. Is Universal Health Coverage and Single-Payer Health Care Coverage the Same? No, Universal Health Coverage and Single-Payer Health Care are not the same. Universal Health Coverage means that all residents have health coverage, but does not necessarily mean that the coverage is single payer or provided by one source. Single-Payer Health coverage may also be considered universal health insurance, but the important distinction is that single payer has one payer. For example, multi-payer health care systems may be universal as well, such as is the case in with Japan's Universal Statutory Health Insurance System (SHIS). How Do Existing Models of Single-Payer Healthcare Work? There is no one way to organize single-payer healthcare and each country has its own structure. For example, in Canada, each province has a government program to provide healthcare. The country or provinces do not own the healthcare providers but instead have arrangements with them to provide care. In the UK, the system is different where the government has national healthcare providers and runs the healthcare providers. If you want to learn more about how each country finances and organizes its health care system, International Health Care System Profiles provides an overview per country. Does Single Payer Health Care Mean That All Medical Needs Are Covered? It might sound like a single-payer health care insurance system would answer all medical needs, but depending on how the system is set up, you may have certain coverages that would not be included. When a country sets up their program they have to take the costs into consideration and make decisions based on their individual system. The government may take on the majority of the costs, but still, share some costs with citizens. For example, you may still have co-pays to pay with a single-payer health system, or you may have certain coverages excluded. For example, in Canada, the health system does not provide dental or vision coverage for adults, and many people still purchase private health insurance to supplement their health insurance with supplemental health insurance plans and employee health benefits. In the UK, there are co-pays to pay for certain drugs when prescribed outside a hospital. The country can come up with their individualized criteria based on their resources and what needs they decide should be covered. How Much Do Single-Payer Health Insurance Systems Cost? Studies comparing the costs of US healthcare and similar costs in places with Single-Payer health insurance have indicated that when you have a single-payer system, because of various reasons, including when the government is involved in the negotiation of costs and regulation, and medical professionals are only dealing with one payer, costs could be as much as 4 times higher in the non single-payer system. "95 percent of American households could pay less for care than they do now". In addition, other studies show that compared to other countries with Single-Payer health models, the US pays more for health care, and in looking at Health System Performance Scores it is clear that there is a lot of room for improvement in the US system. The pros and cons of a single-payer system depend largely upon the system that is set up. We have seen a few examples of how different countries manage single-payer systems, and because it is really how the country builds and runs the system that determines various pros and cons, it is hard to make a generalized commentary. For example in Canada, many people complain of long wait times, yet this is not necessarily due to a single-payer system, as other places like the UK or Australia with single-payer systems do not seem to have the same issue. Some pros would likely be constant among all single payer systems as evidenced by the research we spoke about above. Pro: Costs of administration are likely to be less, ($500 billion in administrative waste is cited as potential savings by the PNHP) allowing funds to be shifted to providing health care to the population, instead of being wasted in bureaucracy. Pro: Allowing access to all to get essential health care will create a healthier population, and will prevent illness by providing access to more preventative care as well. Pro: Single-Payer healthcare may be designed to allow people to choose their medical provider, instead of being restricted to those chosen by their HMO. Pro: People can stop worrying about medical bills and having to choose between their health or medical debt which is a major problem in America today. 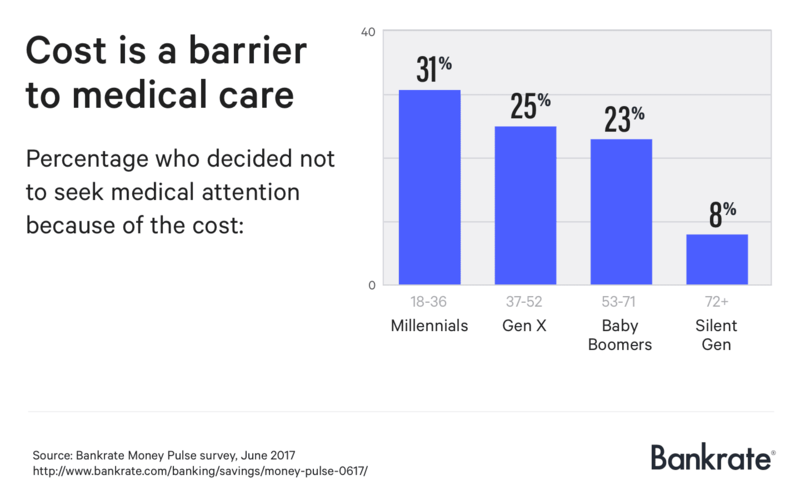 In 2017, a Bankrate survey found that 25 percent of Americans or someone in their family, have foregone medical treatment due to the cost. This included 31 percent of millennials, 25 percent GenX and 23 percent in the Boomer category. Do Americans Want Single-Payer Health Insurance? Understanding what is involved in a single-payer system is very complex, however, a Reuters poll that was taken in June and July 2018 indicated that 70% of respondents polled were in favor of "Medicare for All" in the USA. Finding ways to provide health care coverage so that everyone can have access to healthcare is always a good idea, the question is: is it affordable and is it possible? Many people believe it is, the work involved requires strong economic analysis and a good plan to make a single payer system work. Many people fear increased taxes or question how the system would be financed, but at the end of the day, there is research that outlines how a single-payer system could work in the US to the advantage of the population and businesses. 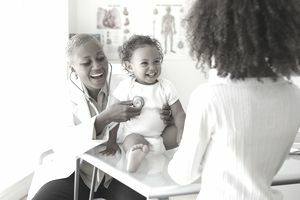 The PNHP, which is non-profit and has done extensive US research offers an FAQ to help you learn more about why single-payer health insurance could be a very good deal and can really make a difference in the US.